Enhance your lifestyle by using executive helicopters as part of your VIP luxury brand and be whisked away to your destination, avoiding traffic jams and rail delays. Take advantage of short breaks, attend special events or use your time efficiently for business by using executive helicopters to maximise your time and avoid wasting precious hours travelling on congested roads or facing crowded rail journeys. Experience a luxurious and comfortable trip as well as point to point travel. With executive helicopters you will be picked up near your home or office which saves you time and gives you greater convenience and flexibility. 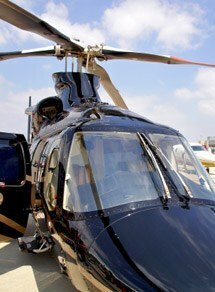 Maximise your time by using executive helicopters for your travel arrangements. You will be treated to a VIP Service which gives you better security with a flexible timetable built around your own bespoke itinerary and travelling requirements. You will travel in an efficient way, which means even the busiest of people will be able to attend those important events, spend time with their loved ones or get to the business events they need to attend. Simply pick up the phone and leave the travel details and arrangements to us, safe in the knowledge that we will do the rest. You will benefit from a reliable service that gives you maximum enjoyment from your trip. Relax safe in the knowledge that all the details that are important to you will have been taken care of by your dedicated flight manager; available 24 hours a day, 7 days a week. Stepping out of executive helicopters you will feel refreshed and ready to go straight to your event or business meeting. This is a bespoke, personal and discreet service, designed to make your journey more than just a means of travelling. You are able to utilise the time working or relaxing. It’s your choice and your executive helicopter so you will not have to worry about other passengers. Using executive helicopters is a lifestyle option for the discerning passenger who values VIP Service levels and for those busy people who value their time. For more details or to book one of our executive helicopters and experience a VIP Service please call Atlas Helicopters’ Operations Team or get an instant estimate with the form below.